On the backs of the chairs at Nourishing Storm Studio and Cafe are themes: strength, clarity, peace, create, release. Nourishing Storm expanded in October, from a smaller yoga studio across York Road to the larger space, where they were able to add the cafe. The whole idea, Ritter said, is promoting wellness. For some, that comes with yoga. For others, yoga doesn’t resonate or they’re not ready to give it a try. Meeting with a friend or finding healthy foods might be more accessible. The basis of the menu is smoothies, juices, tea, coffee and fresh, healthy foods. Everything is vegetarian. The whole food-based smoothies can work as meals or for post-workout to provide recovery. One of the most popular smoothie choices is One Love, a green smoothie made with pineapple, orange, spinach, kale, avocado, banana, lemon and vanilla protein. Another is Green PB Dream, made with milk, banana, chocolate, spinach, peanut butter and chocolate protein. There are also vegan smoothie options like Green Lotus, made with almond milk, almond butter, spinach, banana, cardamom and vanilla/chocolate plant protein. The food menu is shorter, but the options are seemingly endless. Along with the soup of the day, patrons can choose to build their own sandwiches or salads from a long list of ingredients across four categories: bread, veggies/fruit, cheese and spreads. Avocado, sun-dried tomatoes, goat cheese, hummus and much more abound. They also have some of their favorite combinations as suggestions, and fresh juices. Ritter’s background as a fitness instructor in Washington, developing and running juice bars, working for a whole foods company and intensely studying yoga and nutrition brought her the knowledge to be where she is, but personal experience guided her. She and her husband, Stephen, both Willow Grove natives, moved back to the area a few years ago. That included scaling back material possessions, refocusing on nutrition and finding a path toward a more peaceful life. Ritter found the space that would become Nourishing Storm and grew the small yoga studio starting three years ago. The impetus for the move, she said, was building something stronger for the community, which she developed and planned alongside friend Megan Connolly. Now, along with yoga classes, the space hosts community events and workshops like zen and anti-stress coloring nights, writing workshops and more. 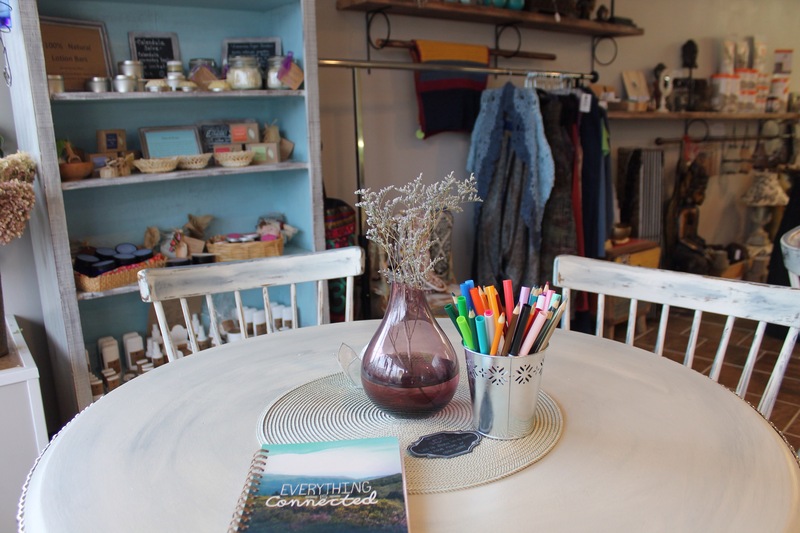 Nourishing Storm Studio and Cafe is located at 124 N. York Road in Hatboro. For information, visit http://www.nourishingstorm.com.